Jacinda Walker, MFA, is renowned for her work in diversity, design research and strategy. 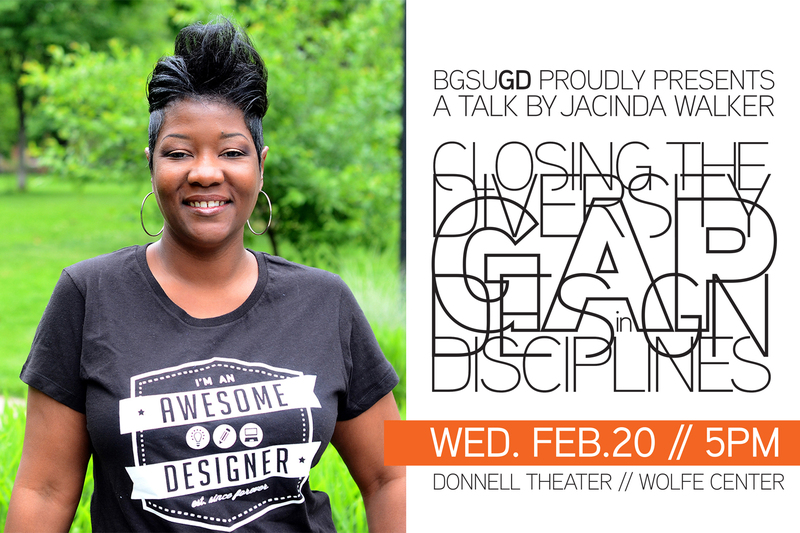 She is the founder of designExplorr, a design education business that exposes underrepresented youth to design careers. Jacinda has helped clients including Amazon, Adobe, Kellogg, and others with their diversity recruiting strategies. She has led design thinking and community design education workshops for the Cooper Hewitt Smithsonian Design Museum, the Boys and Girls Club and numerous AIGA chapters. Jacinda is chair emerita and served as national chair of AIGA’s Diversity & Inclusion taskforce from 2016-2018 and helped the association significantly increase its own diversity and inclusiveness in measurable ways. She obtained her M.F.A. in Design Research & Development with a minor in Nonprofit Studies from The Ohio State University. Her thesis, Design Journeys: Strategies for Increasing Diversity in Design Disciplines, has been widely hailed as a breakthrough work. This research explores diversity in design disciplines and investigates effective strategies to expose African-American and Latino youth to design careers. Jacinda is a strong advocate for young people and proudly mentors design students on portfolio presentations, professional development and career planning. Walker’s future goals are to help scale diversity in design education initiatives for corporations, school systems, education organizations, and museums for underrepresented youth.